But in the middle of our momentous scenic road trip yesterday, we stopped in Chama, New Mexico for lunch. There’s a story in itself. You don’t know what it’s like. Eighty-year-old tourists come to see the train and have a grilled cheese sandwich. Guys juggle bears in winter to keep warm. All around it’s beautiful, of course, with mountains, trees, a river, and green grass, and then the screen door slams bam-bam in the wind in the little cafe where they don’t serve any alcohol and even I begin to feel a little safe, until I step outside and see a ’64 Corvair convertible! How insane is that? Considering where we were, especially, it might as well have been a golden camel on a stick. And then I looked across the street: oh help, another one! The later model, ’65 or ’66, a clean red coupe with killer wheels. [Look beyond the steering wheel.] Dear god, another down the street the other way! And yet a fourth one sitting in the shade! Aaagh! Anyone who loves a car that much can be my friend. There’s also a fine exalted weirdness here beyond the mere inherent. (The curious are urged to dig deeper on this page.) For one thing, you’ll notice there isn’t any third state mentioned for this “tri-state” event, only New Mexico and Colorado. The third state was supposed to be Utah, but the Bonneville Corvair Club never actually signed on back in 1976 when the whole thing started. They’ve been holding the annual meets ever since with just two sponsors but kept the Tri-State name. Thanks for the pictures! Now, could you please tell the story of the cat with the foaming green brain??? A wise spirit once said to me, “Be careful what you wish for!” but I did it, anyway. Are you sure you’re ready for The Cat with the Foaming Green Brain™? yes I would like to……just hope it never happens to one of my cats! Tri-state has a recognizable connotation to it. Bi-state, not so much. Does bi-state mean two states or that you’re feeling a little reckless? 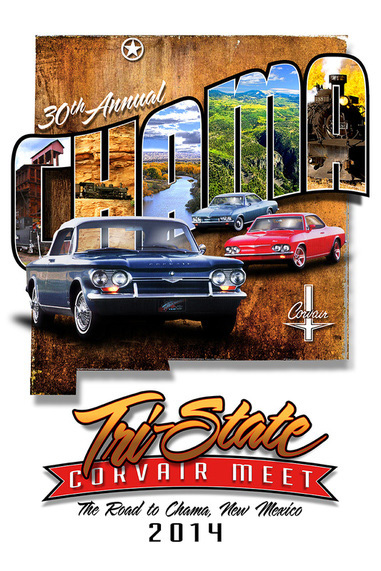 Maybe multiple personalities – Corvair owners who argue with themselves about their next road trip. No, I think they did the right thing by keeping the name. You never know, maybe someday Utah will pony up!